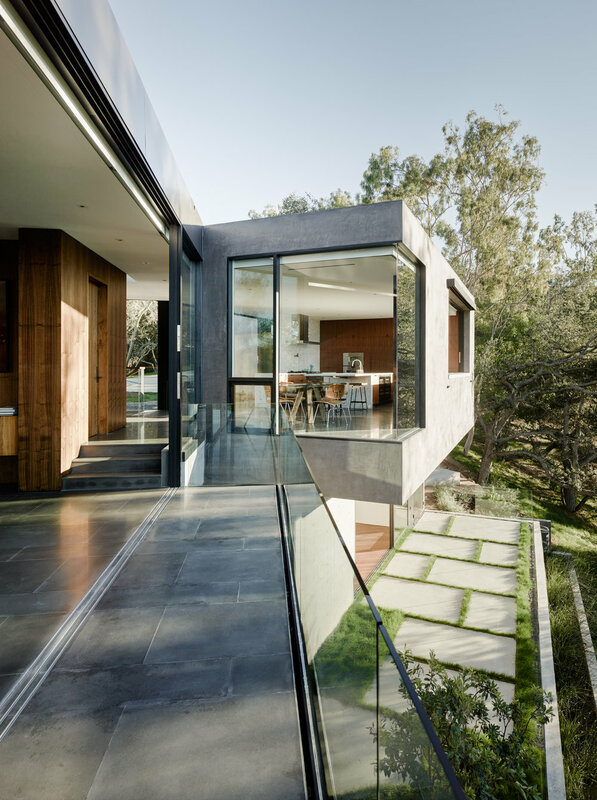 The Oak Pass Main house uses an "Upside Down" program, with public spaces above the bedrooms, which are buried into the hill and beneath a green roof of edible herbs. This relatively large house at 8,000 square feet appears much smaller and carefully integrated into the surrounding landscape, which includes over one hundred and thirty Coast Live Oaks. A seventy five foot swimming pool, with infinity edges on three of four sides, bisects the house and slips below one of the largest Oaks on the property.